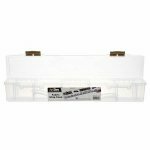 ArtBin Fabric Strip Case 6999AB - Keeps your fabric strips clean, wrinkle free and ready to use. 24" x 4-3/4" x 3-1/2" Reduce wrinkles by storing fabric flat. Two adjustable clips hold fabric in place. 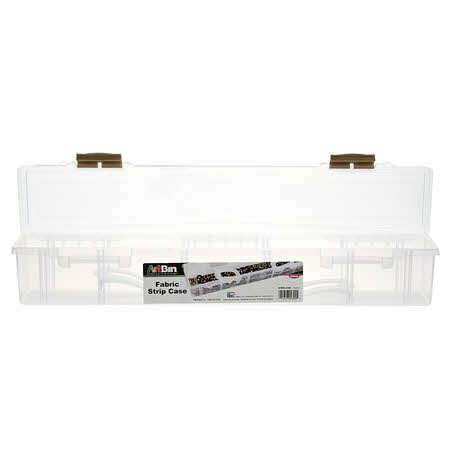 Holds standard 2-1/2" strips.